A light pastel pink printer paper from the Rey Adagio range. Text printed on coloured paper may help some with reading conditions such as Dyslexia or Scotopic Sensitivity Syndrome / Mears-Irlen Syndrome. 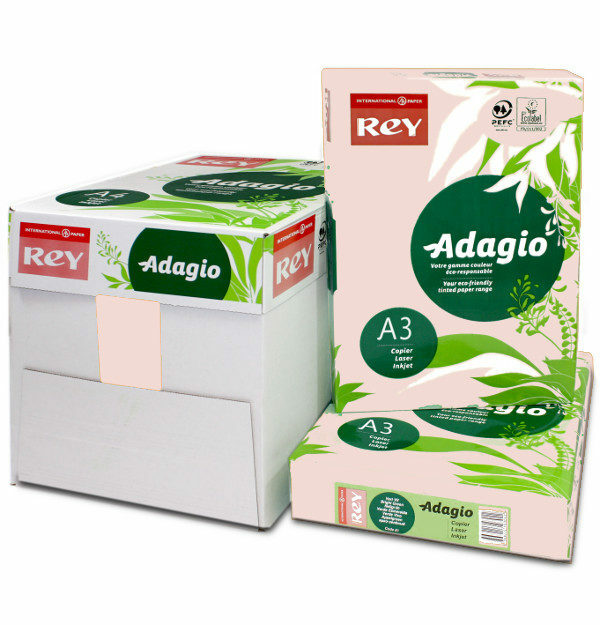 We stock for the full range of Rey Adagio coloured printer papers which are suitable for general purpose office printing, eye-catching notices & small posters, education purposes.